At Affordable Animal Hospital in Los Angeles, we understand the deep bond between you and your pet. Pets are an important part of your life, and a member of your family. You care about your pet's health and well-being. When your pet appears to be ill or suffers from an injury, you want call on a nearby veterinarian and among the best. Here at Affordable Animal Hospital in Eagle Rock, we have arguably the best veterinarian Los Angeles has to offer who takes the time and care to ensure your pet is happy and in the best shape as can be. At our animal hospital, our dedicated staff is here and ready to discuss your pet's condition with you so you can make wise choices about your pet's health. We use the most modern equipment, tested and reliable veterinary products, and the personal touch of tailoring the most effective treatment for your pet. This is why we are considered to be arguably the best Los Angeles and Eagle Rock vet clinic to call on. We invite you to explore our website and learn more about the many services we provide and resources available to address all your pet's veterinary needs. Affordable Animal Hospital is fully equipped to handle a wide range of veterinary needs. 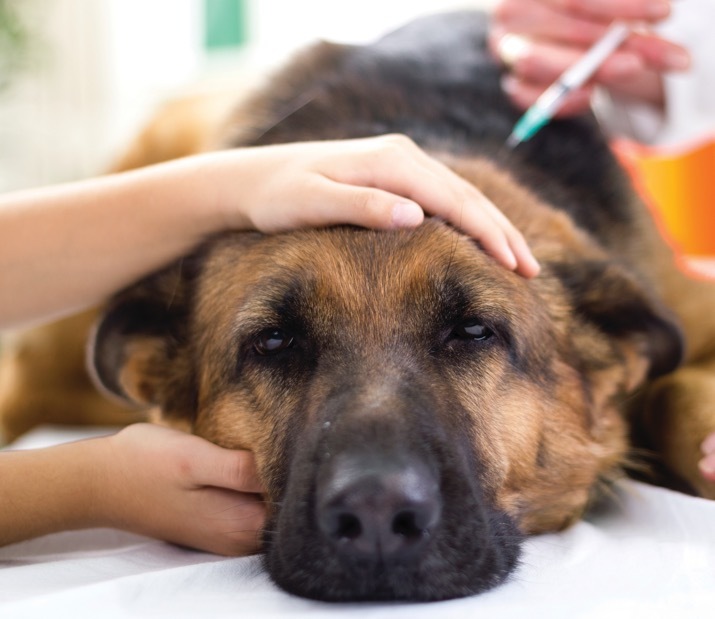 We offer vaccines to protect your pet from harmful illnesses and diseases. Outdoor pets are particularly susceptible to contact with other animals or harmful substances, and vaccines can keep your pet healthy and safe. Our services include “core” vaccines, or those recommended for all animals, in addition to “non-core” vaccines, or vaccines unique to your pet’s needs. Pets can easily go missing, and tracking them down can be difficult, or impossible. A microchip is a tiny device that can be painlessly inserted into your pet with your personal information digitally saved where it can be accessed by the Humane Society and other groups so you can be reunited with your pet. Microchipping can also be integrated into your pet’s initial puppy and kitten care plan to protect them in the early growth stages, when they need it the most. Getting your pets “fixed” can help regulate your pet’s behavior by controlling hormones. Eliminating their reproductive abilities helps control the pet overpopulation problem but also helps your pet avoid many potential health problems down the line. Help your pet live a long and happy life by getting them spayed or neutered. Getting a new puppy or kitten is exciting, but can also be a difficult and anxiety-filled task. Making sure your new pet has all the needed vaccinations will help you keep them healthier over the course of their life. Puppy and kitten care offered by our Los Angeles veterinarian involves your pet’s vaccinations, screenings, tests, and other services like microchipping to promote a longer, happier, healthier life for your new pet. Cavities and other dental problems can be painful for your pets just like they are for you, and can lead to other health problems. We offer teeth cleaning services to promote healthy gums and teeth for your pet, and avoid future problems and health conditions developing as they begin to age. Pets cannot verbalize their pain or other health problems, so X-Rays can be helpful in providing a clear image of your pet’s internal structures to better identify and treat a variety of injuries or diseases. The X-Ray process at our Los Angeles veterinarian clinic is completely safe for your pet and can result in faster, more accurate diagnoses and treatments. Should your pet need surgery, our trained vets in Los Angeles provide the utmost care and attention to each animal. We offer the full spectrum of surgical treatments for dogs and cats, ranging from simple and routine to complex procedures. Our veterinarians are dedicated to keeping your pets safe and healthy by any means necessary. The same way that you would go to the doctor for a check-up, your pet also needs regular health exams to identify and treat any health issues before they worsen. The routine exams and consultations check each of the body’s systems and other vital signs for any symptoms of a larger issue, and further treatment can be scheduled if necessary. Just like an active human who breaks a bone or gets into an accident, a pet can need emergency vet treatment. Our Eagle Rock vet can help with a long list of pet care emergency service situations. Accidents or injuries happen without warning, and we offer urgent care services for non-emergency situations where your pet needs medical attention. Read more about our urgent care services below. At Affordable Animal Hospital, we are proud of our caring, dedicated veterinary staff, each of whom are trained to handle urgent veterinary needs. We are here for you to address pet health care risks ranging from a snake bite, injuries, pet illnesses, and the many other health problems that can affect the life and health of pets. We are also ready for non-emergency urgent care situations if your pet is exhibiting symptoms that have you concerned. If you ever feel that your pet is need of urgent care, don't hesitate to contact us immediately. When you come to our clinic, our caring staff will be ready and able to help. So come out and visit one of the best veterinarian Los Angeles has to offer. When you think about the steps you plan to take to help your pet have a long, healthy life, does your list include dental care? If you’re like many pet owners, it may not. At Affordable Animal Hospital in Eagle Rock, we want to open your eyes to the importance of this subject, and the impact it can have on your pet’s health. We offer a full range of dental services, from cleaning to extraction, to help you keep your dog or cat’s mouth in good shape. Will You Notice if Something’s Wrong? You’re not likely to be aware that your pet has tooth trouble, especially in the early stages. It’s not as if your dog or cat is able to tap you on the shoulder and tell you about a cavity or a loose tooth. If you’re not a trained veterinarian, it’s not likely that you will see something that looks wrong. Assistance from a professional is vital, especially if you want to prevent serious issues from developing. Your pet needs its teeth, and needs them to be in good shape. Worn or loose teeth can affect your pet’s ability to eat and enjoy food. Again, this may not be obvious to you. Pets have a great ability to endure and hide their pain and you may not be in the habit of observing exactly how your pet eats, or looking out for any signs of discomfort. As they age, almost all pets develop dental issues, as most humans do. Four out of five dogs that are over three years old have some form of periodontal disease. This should not be a surprise. Imagine going three years without brushing or flossing. What would the condition of your teeth be at that point? The Affordable Animal Hospital has been dedicated to serving Los Angeles for 20 years, and is committed to improving the life of your furry friends. We have multiple offices to better serve you, which are conveniently located near your work or home. Our friendly staff provides individualized care and personal attention to each pet, and their owners are informed at every step of the way. You will work with our Los Angeles vet to create a customized treatment plan for your pet to promote a long and happy life. Whether it’s a simple check-up, preventative care, or a treating serious health problem, the professionals at Affordable Animal Hospital in Los Angeles are here to help. Our affordable animal hospital serves the northeastern Los Angeles area from our affordable veterinarian clinic in Eagle Rock. Our vet and support staff are here to help pet owners resolve a wide range of illnesses, injuries, and other pet health problems. Our mission is to keep you informed about your pet’s veterinary needs so that you are able to make the right decisions about treatment. The staff at our veterinary clinic are dedicated to making your pet's life better. There's nothing that puts smiles on our faces like seeing people with happy and healthy pets. © 2019 Affordable Animal Hospital Eagle Rock. All Rights Reserved. Web Design & Internet Marketing Los Angeles by Studio III.